There's still a storm scheduled for this weekend. 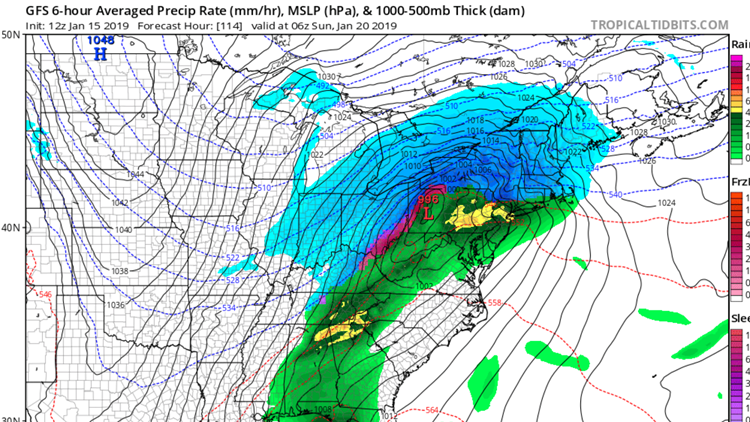 This storm is going to be exhausting from the standpoint of how much lead time we're getting. It's one of the burdens of such drastic improvements in forecasting over the past 15-20 years. 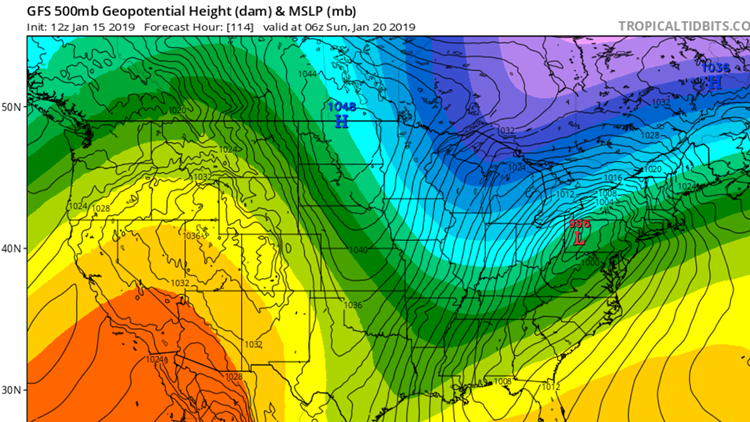 By default, seeing a storm 7-8 days out means you're gonna have storm fatigue before the thing even spits out a snowflake. But it is what is it, and far be it from me to hide a strong storm signal just so I don't have to blog about it for 6 days. There's no way all the models whiff on the creation of this storm in such a troughed out/blocked up pattern. So the storm will be there. And it'll be large. With a blocking high to the West and to the Northeast, I just don't see where else this thing is going. No storm is 100% 5 days out, but I'm willing to say this is 95% hit. This is the whole game and the part I'm spending all my time on. We know there's a big storm and we know it will very likely hit Maine, but the thermodynamics of the system are the key to the impacts. 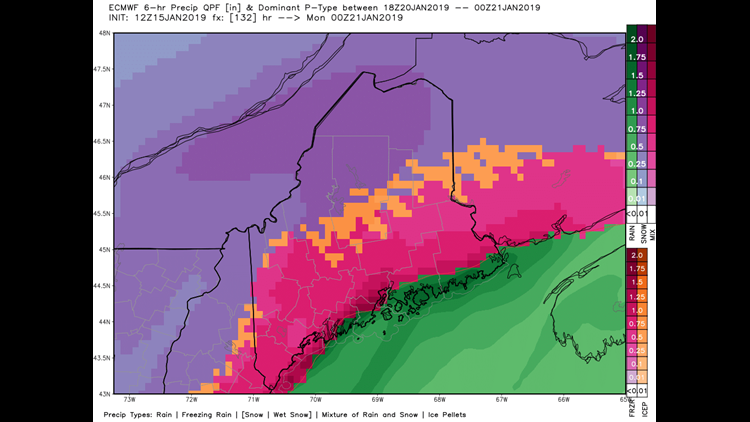 Best case, in my opinion, is that the low takes the most Easterly path possible, putting it cleanly out over the Gulf of Maine and giving almost everyone straight snow. It would be a lot of snow, almost certainly 12"+ for most of the state, but it would be moveable, plowable, livable. 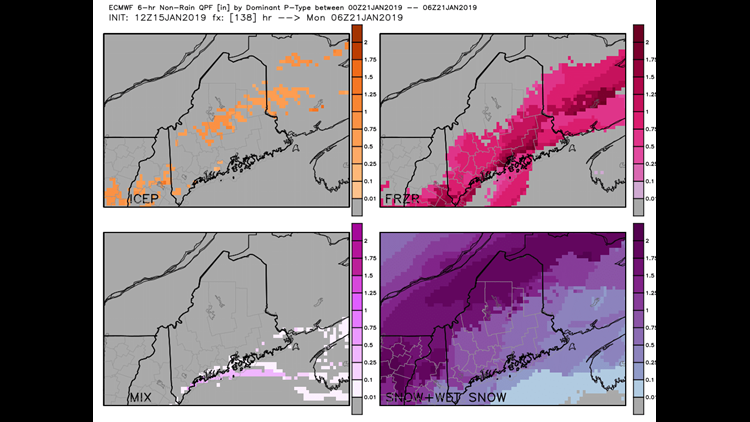 Worst case, however, is something the models are starting to give more and more cred with each run- Warm air intruding at the surface and giving parts of Maine a prolonged period of icing. Right now the models are painting the icing as the worst near the coastline. But my experience tells me it's much more likely to be a bit farther inland where the cold air is nearly impossible to scour out at the surface. So, it's ice still that concerns me the most. We won't know for sure which door for a few more days.